This superb quality German manufactured make up mirror has a scary but handy magnifying concave lens. The cosmetic mirror is wall mounted with a sliding adjusting rail and fully adjustable swivel arms, allowing ideal positioning of the mirror. 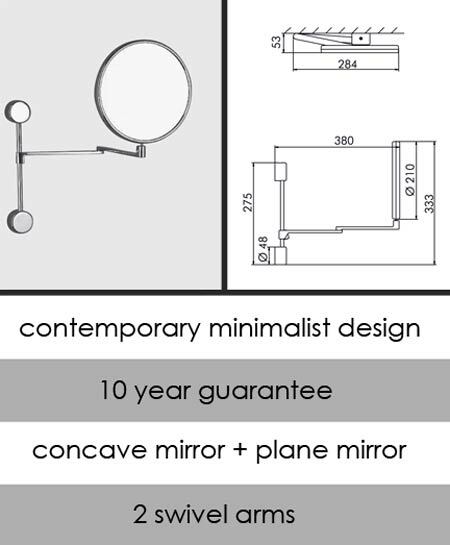 * Fully adjustable mirror arms.